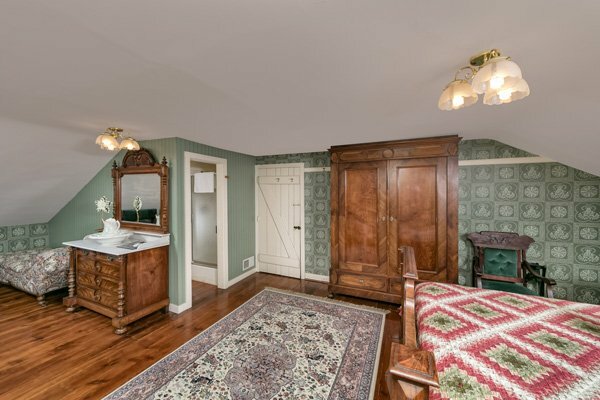 Enjoy your stay at the Emig Mansion in one of our guest rooms, each with its own special charm and unique features. 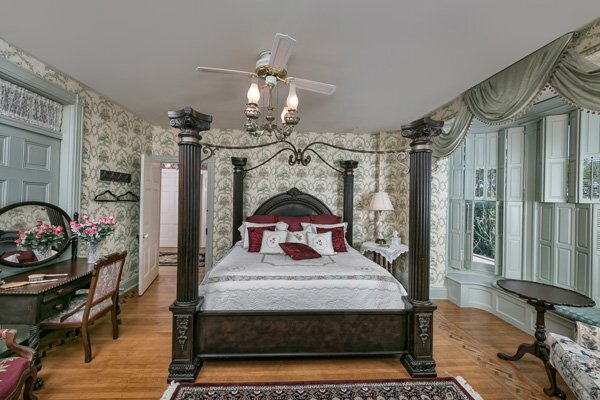 All of the accommodations at the Emig Mansion are designed for the comfort and enjoyment of you, our guest. 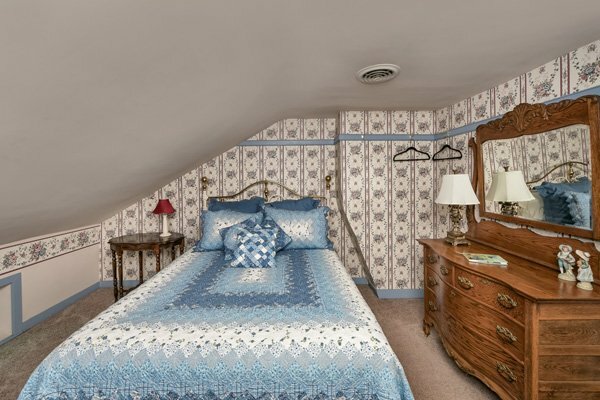 Our rooms are named after the Emig children that lived here during the 1800s, and in keeping with our historic theme, all rooms are decorated with authentic antique furnishings and comfortable reproductions reminiscent of the 1800s style. 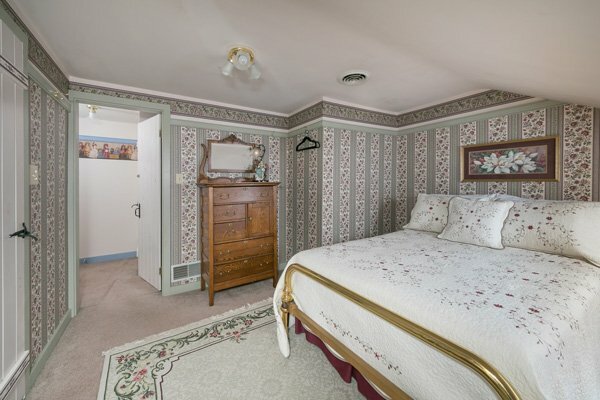 Our rooms are centrally air conditioned and wifi is available throughout our house. To help you enjoy a quiet and stress-free get away we do not offer televisions. 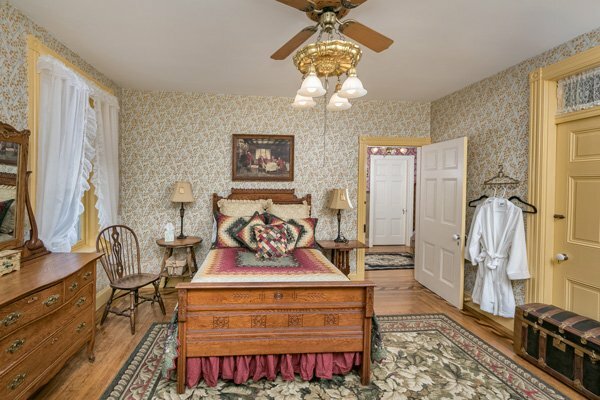 Choose a room with a large bay window or one with a view of our gardens and hillside meadows behind the house. 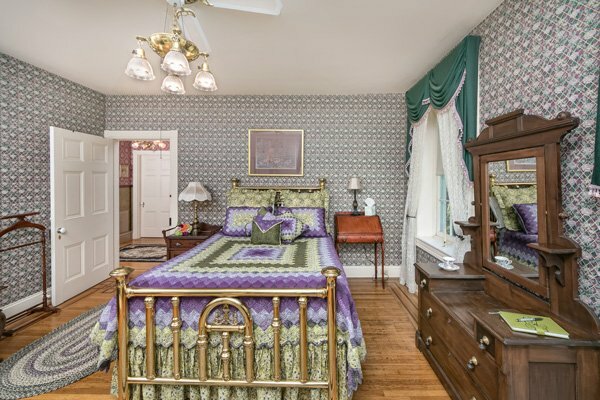 Our rooms all have upscale bedding and many feature designer quilts and pillows from the Donna Sharp collection. Iron, ironing boards, hair dryers, printing and fax services, and other special amenities are available to our guest upon request. 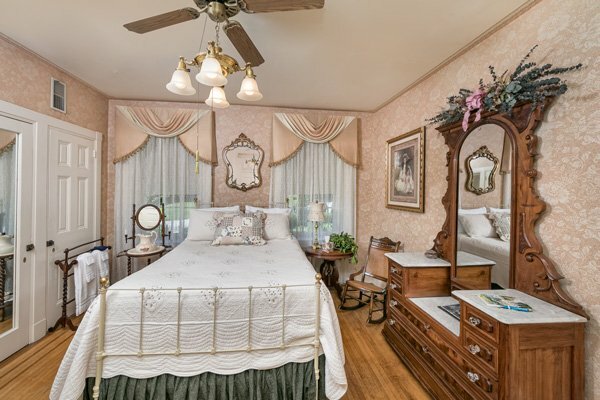 During your stay we invite you to enjoy our twin parlors, library, dining rooms, large Victorian porch, gardens, and our vintage goldfish and koi ponds. The Emig Mansion has a very large space for private off-street parking.